Like many couples who have been together for a long time FFOMC and I have had the optimistic idealistic discussions about being parents and what our future children might be like. We also have the requisite list of potential baby names. Creating this list has been a labour of love and I must say the list has seen great improvements over the last 14 years that we have been together. When this topic was first discussed, FFOMC suggested Brandon if we had a boy and Emerald if we had a girl. As a teacher I come into contact with a lot of Brandon’s and the experience – for me – has been less than positive. Before you lynch me, I am sure there are many fantastic young men with this name! But all teachers have experiences that influence their attitudes towards particular names and I am afraid that for me Brandon is an unthinkable choice for my son. I don’t know anyone named Emerald (I think there may be good reasons for this) but again there may be some wonderful and inspirational Emerald’s out there who I simply have not yet met. Our list of baby names has matured as we have with more grown up choices like: Katherine, Hannah, Emma and Jessica as possible girls names and Henry, Harry and Nathan for a little boy. Of course this is all very hypothetical and it is common to feel differently when there is an actual baby or even just a bump to name. The topic of children’s names was discussed recently in the staff room at school. My boss started giggling like a schoolgirl and when I pressed her on what had her so amused she said “You should so called your future children Hamlet and Ophelia or Romeo and Juliet”. 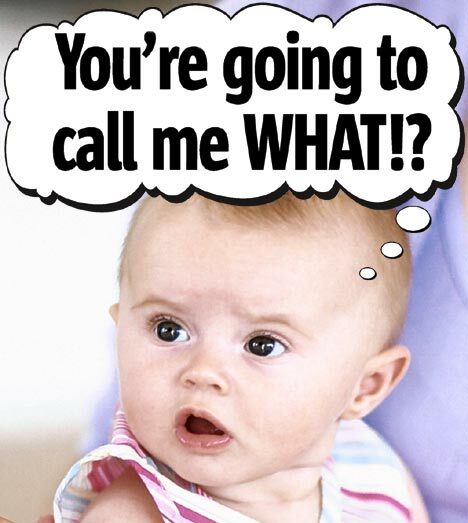 We all had a giggle at this especially when I realised that my parents – who have strong views on the names of children – might actually buy into the idea that I would make these choices for long enough for any alternative I revealed to be a relief.